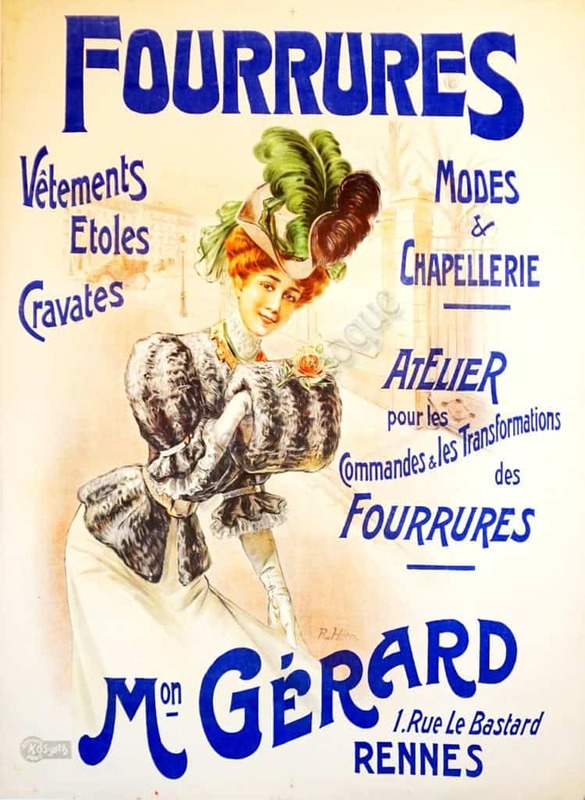 Advertisement for a clothing boutique Mon Gerard in Rennes, specializing in fashion, hats, ties, and furs. Also, this bespoke boutique restored and made-to-order furs (custom made). A young red headed lady wearing a short fur jacket and muff (Rose attached), wearing a beautiful hat with elegant green & brown feathers, and sleek white gloves. She’s having a stroll down the boulevard.